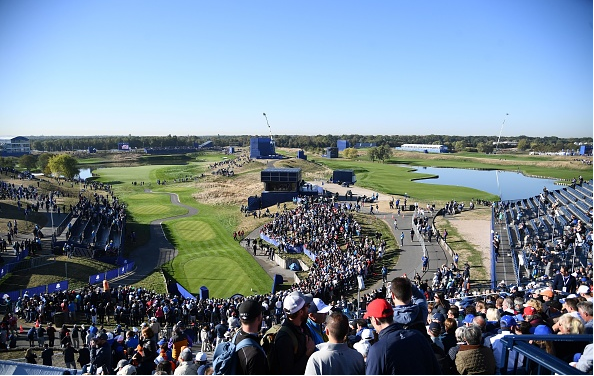 The first tee shot at the Ryder Cup has been called the most nerve-wracking shot in all of golf. 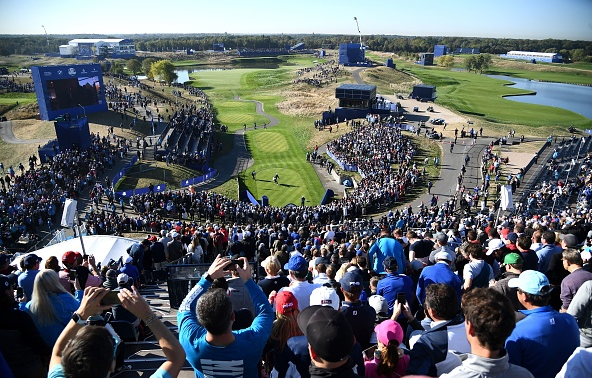 To make the palms sweat even more, for the 42nd Ryder Cup matches in Paris, France, the first hole at Le Golf National has been constructed to include grandstands that will seat some 6,900 fans – many of whom will be fully lubed up. Even legends like Tiger Woods get nervous with the tee shot on No. 1. 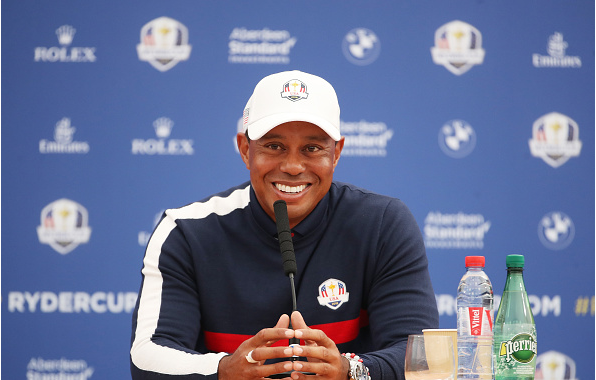 On Tuesday, Woods described a back and forth he had with teammate, and foursomes partner, Mark O’Meara at the 1997 Ryder Cup on who would tee off on the even and odd hole numbers (the first hole is obviously odd). Woods was a Ryder Cup rookie, while O’Meara was the veteran. “So I listened. I hit a 2-iron, tracked it down in the fairway, and phew, it was all good. “So there’s a lot of nerves. It’s excitement. I mean, it really is. It’s something we don’t get to experience in that regard because basically it’s the final round of a tournament on the very first hole and every match you tee it up.